Hey Stylists! So glad you’re back again to join me for this week’s blog post. I apologize for not posting this past Monday – I was so drained from the holiday weekend and just took some time to really enjoy good times and good friends! But I’m back, and I’ve got an exciting post for you this week. 2010-2012 – My FIRST blog was called Lemon n Lime. 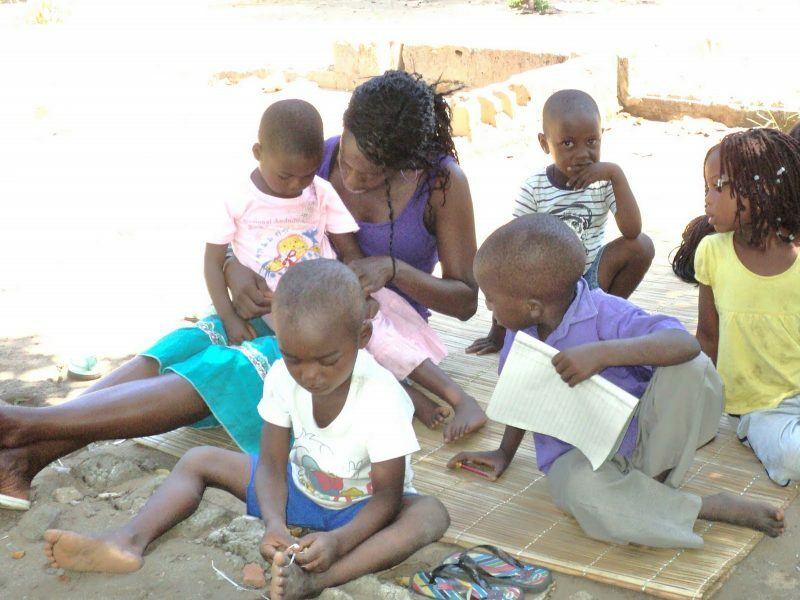 This blog focused on my travels throughout Mozambique, Africa when I joined the Peace Corps. I actually never “finished” the blog, and just left the last post as it was. Opps! But I am, however, super proud of this blog and the stories that I’ve shared! Be sure to check it out. 2014 – present – Nkmstyling! This blog is like my life. I put all of my old posts together, bought a domain, and started publishing all my work. Never looked back since. NKM has been a creative outlet for me, and also a way to share my street fashion and personal style. If you’ve been here with me from the start, thank you! 2017-2018 – The Boss Diary. I love this blog because it gave me a chance to connect with women, share their stories, and create a business platform as a brand stylist. I knew a lot about branding and started freelancing, so I figured why not make a business out of this and do something that I love? This blog was the perfect way to merge everything that I wanted into one place. 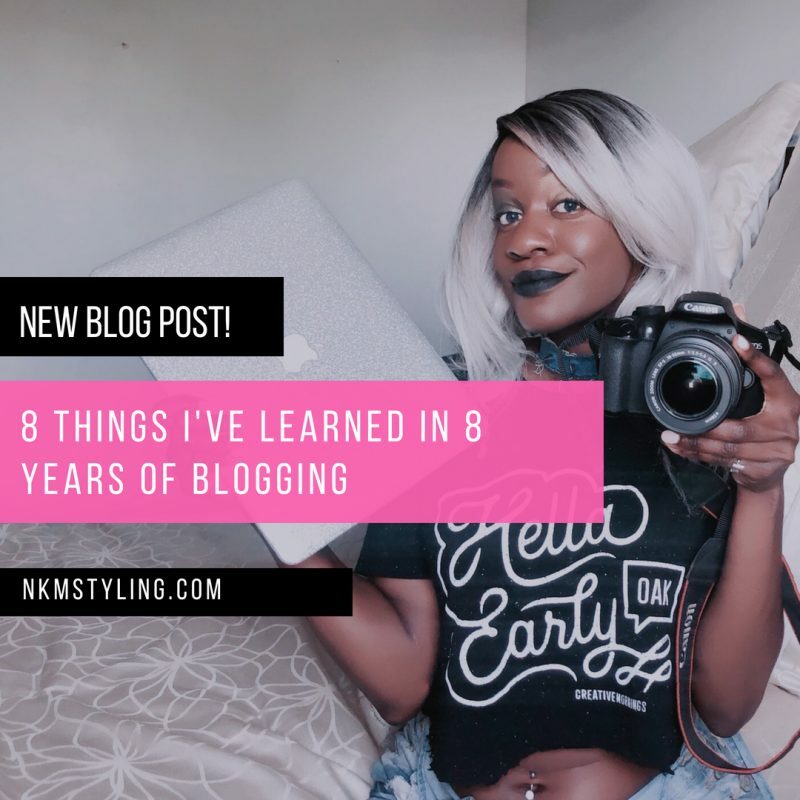 So now that you’ve seen my blogging journey, here are 8 things I’ve learned these past 8 years. Here we go…. A pic of me from my lemon n lime blog. Mozambique, Africa with my sweet babies. Everything takes time – You must have patience babe! Don’t expect to have a lot of traffic in the beginning. Growing your blog simple takes time. When you first start out, you may get discouraged and feel like no one’s reading your blog, but they are! As time goes on your traffic will increase. Always proofread your work – In the beginning I had so many spelling and grammatical errors, and that ain’t cute lol. I was like omg, did I really just spell and say that wrong? So make sure you are using the spell check option and re-read your posts once or twice. If anything, write your posts in Microsoft Word before pasting it to your blog. Eyes read from left to right, so include your most important feature from your blog on the right hand sidebar – For example if you are really trying to build your email list, then have your subscribe link on the right hand corner. Your readers’ eyes will automatically browse your entire side bar, so place everything that you want to focus on – Pinterest followers, email subscribers, or popular posts – on the right. I’d highly recommend you do not post your sidebar info on the left. Break up your writing with bulletpoints or images – Most people tend to have a short attention span and will most likely loose interest if there’s a ton of writing and no photos. The goal is to keep your readers engaged. If you’re blogging about a pair of boots that you bought last week, be sure to take 2-3 photos of you wearing them. Make the post eye-appealing. Trust me, your readers will love those images. Stay consistent – I’ve been called crazy for having a strict blogging schedule, and yea I kinda am! I post on NKM every Monday, and The Boss Diary every Wednesday and Friday’s. But in my opinion that’s the only way to build your blog and brand. It’s not always about just the numbers, but if you want to gain more readers/followers, then you must stick to a blogging schedule. You do NOT have to post every week like I do, but at least have some level of consistency. If you blog consistently for awhile then all of a sudden you disappear, your audience will start to disappear too and begin to loose interest. Keep up your momentum because ya never know who is watching! Use social media platforms to drive traffic to your blog – As soon as I publish a post, I use all of my social media platforms to share my blog link. And surprisingly, my number one platform for doing this? Facebook. I notice I get a ton of views from linking my blog posts to Facebook. In my recent post on how to style fishnets, I received 85 views in one hour just from linking it from Facebook. You work hard on your blog, so always share your hard work! Be mindful of the information you put in your post – I’ve gotten some crazy stalkers! Depending on your blog topic, there might be times when you disclose personal information, but just be mindful about what you say. Remember that your blog is open to the public (the entire world basically) so if there’s any information you don’t want out there, don’t share it. Although, this is part of the risk we take as public Influencers, but we also gotta stay careful!And last but not least…. HAVE FUN! – Girl if you are blogging and you’re not having fun while doing it – this might not be for you. Blogging shouldn’t be a chore, it should be a creative outlet for you, and a way to express yourself to others without you feeling like it’s a burden on yourself. If you aren’t having fun with your blog then you’re not doing it right! Trust me, if you aren’t really into your blog, then it will show to your followers. Be comfortable and confident, and this will reflect to your audience. BONUS TIP – YOUR BLOG SHOULD REFLECT YOUR PERSONALITY…. THERE ARE SO MANY BLOGGERS OUT THERE, BUT NO ONE CAN BE YOU. STOP THE COMPARISON FACTOR AND STOP LOOKING AT WHAT THE NEXT GIRL IS DOING. I hope these tips have helped you as much as they’ve helped me. I’ve come a looooong way since 2010, and I’m not stoppin’ anytime soon! If you have more questions or comments, send me a message and I’ll be sure to respond! Previous Post My Daily Skincare Routine!